Few experiences in South America match travelling back in time to witness a way of life that has barely changed since the 7th century. Thanks to Kagumu's unique partnership with the Arhuaca community, guests experience life in La Sierra Nevada de Santa Marta. Guests help support a foundation that protects a culture under threat through weaving classes and cultural interchanges. They will also stay in a stunning jungle eco lodge, visit a cacao farm and enjoy yoga on a secluded beach. "Hats off to the team at Kagumu Adventures. They provided fantastic service from start to finish. We enjoyed an unforgettable adventure that we'll remember for years to come. This wouldn't have happened without Kagumu." Abel Alan Marcarini, Climate Change Adviser at South Pole, Medellin. ​Increased communication and collaborative skills through our unique Castaway Challenge and Organic Cooking Challenge. 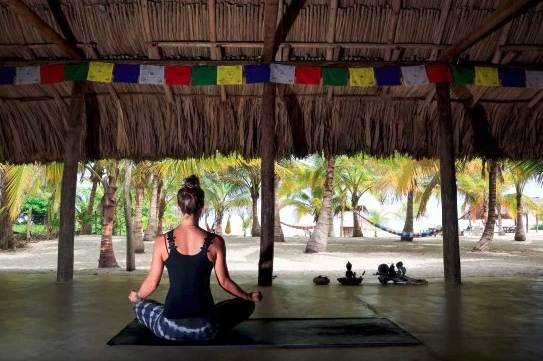 Reduction in sick days through Improved wellness thanks to our responsible consumption workshops, yoga and spiritual healing ceremonies on a secluded beach. Increased motivation to hit sales targets back in the office through our unique Instagram challenge. 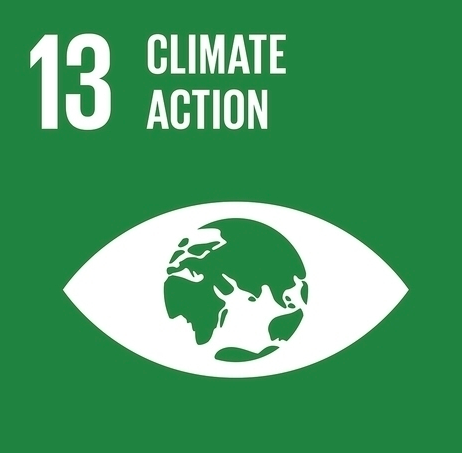 A connection to your brand as doing good through our community and environmental projects. Cocktail dinner on a private Caribbean beach. Cooking class led by local professional chefs and using delicious high-quality local produce. Personalised eco-friendly gifts for each guest. Accommodation at a stunning coastal eco-lodge and in the beautiful historical centre of Santa Marta. Personalised organic spa sessions using locally-grown cacao. Support a foundation that is helping to preserve the cultural heritage of the local communities. 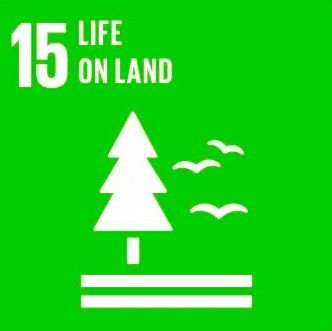 Support responsible local suppliers and reforestation projects that are helping to replenish parts of this natural reserve. 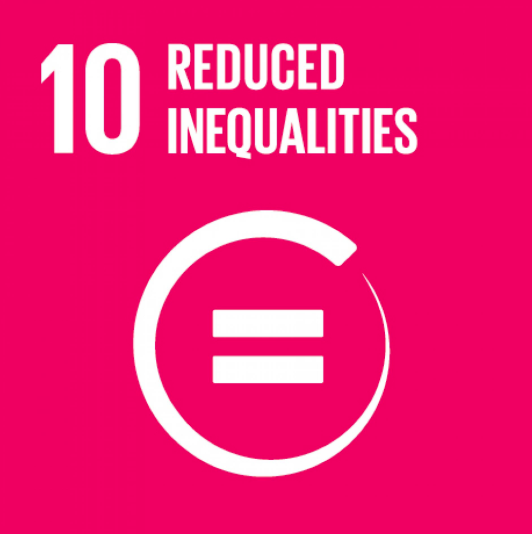 Help promote local projects and foundations that are doing good through our unique Instagram Challenge. 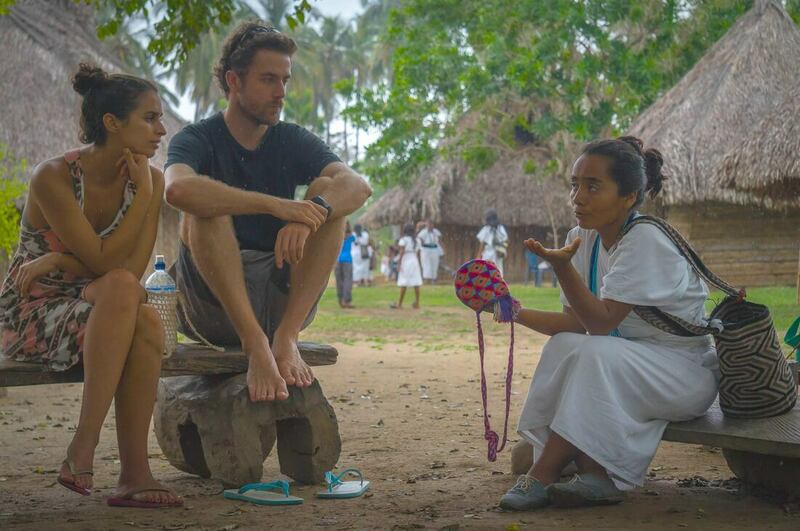 Two years ago, Kagumu founder Simon Willis met Lucelly Torres, founder of Wirakoku and member of the Arhuaca community, and they agreed to set about creating an experience in Santa Marta that enthralled travelers, explored an ancient way of living and, most importantly, benefitted the local indigenous communities. The aim was to give the local community a direct say in what type of tourism they would like to be involved in, if indeed they wanted to be part of it. After countless meetings, proposals and visits they created ​Santa Marta: explore the heart of the world, ​a trip designed around the notion of sharing ideas and beliefs from a modern civilization to one that dates back to the 7​th​ century. 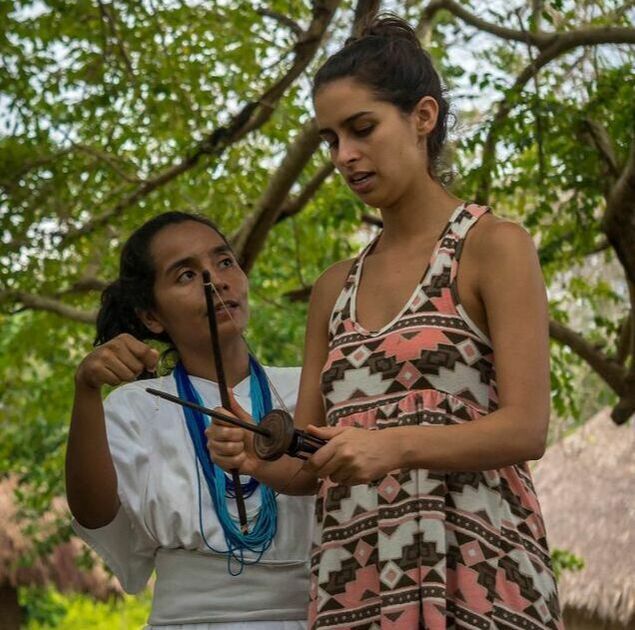 Lucelly personally takes guests back in time and shows how our project aims to empower 60 Arhuaca women to build their own bag weaving businesses, help support families producing cacao and give children an appreciation for a way of life that is slowly disappearing.